Sr. Vassa, who is the host of the well-known program “Coffee with Sister Vassa,” also teaches Liturgical Studies at the Catholic Theological Faculty of the University of Vienna, Austria. 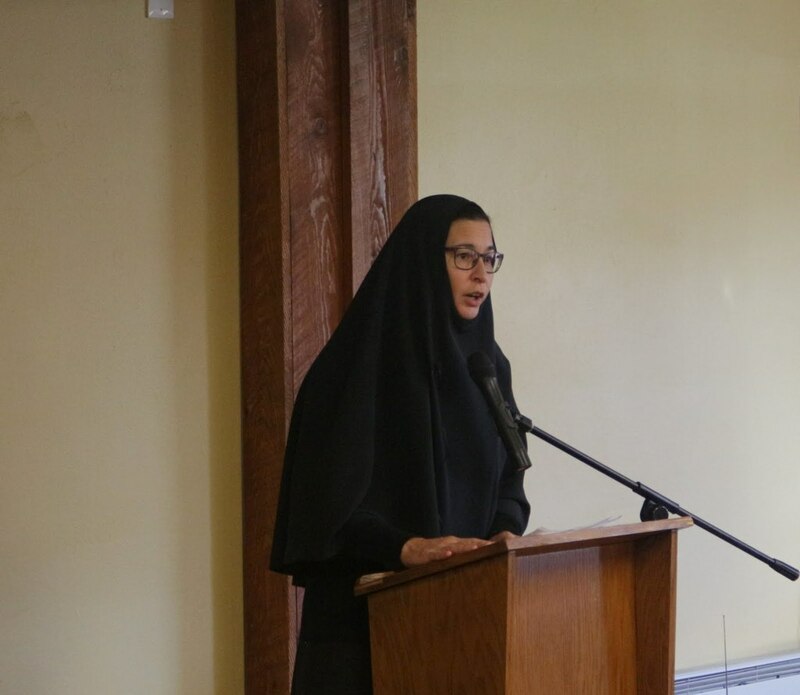 She shared with the St. Tikhon’s community and many guests about vocation as the realization of the Great Commission in one’s own life. “We are called to become ourselves,” she asserted, “who we are meant to be in God.” Therefore, although life circumstances may change, the fulfilling of one’s vocation is always found in the humble acceptance of God’s will. How do we determine God’s will? Sr. Vassa suggested doing three things in one’s daily life: 1) self-reflection, 2) heartfelt prayer, and 3) deep reading of Scripture.